To do a double-sized 75105, you'd need at least four copies of the stock set. I would figure out what diameter you want for the main saucer, and then work around that. Look at both the instructions for 75105 and 10179 to see if there are build techniques you want to utilize. Maybe you want to use elements of the 10179 frame but the outer shell of 75105 with additional sections. Only if you came up with joke yourself and didn't get it from someone else. Here's mine, using 7965 as base model, about 60cm in length. 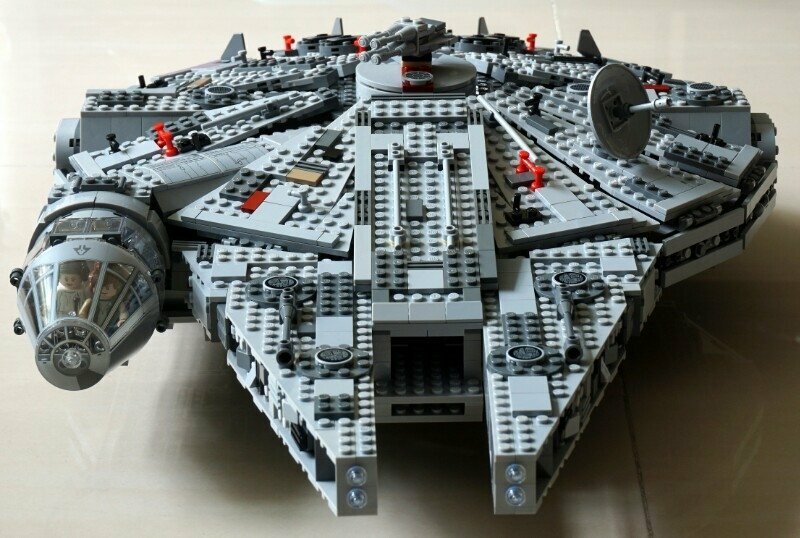 2 identical sets would be enough to upsize I guess, though for mine I use 7965 with extra grey plates and other bricks.